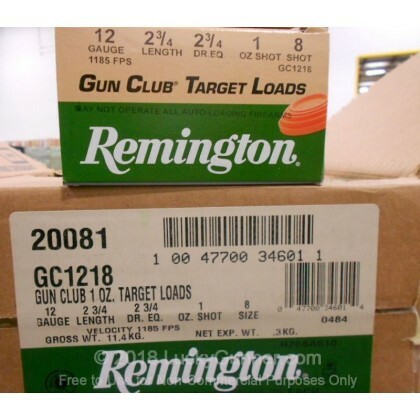 Remington's 12 Ga #8 Gun Club target load provides consistent clay busting performance. 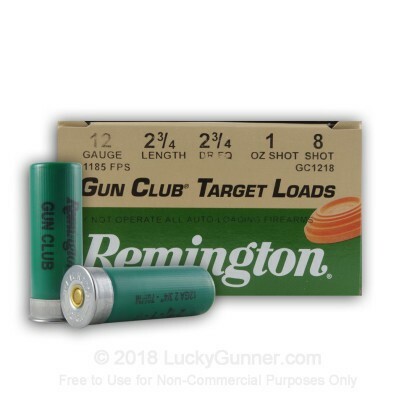 Remington Gun Club shells are targeted to provide a high quality, economical load that includes Gun Club grade shot, Premier® STS® primers, and Power Piston® one-piece wads. 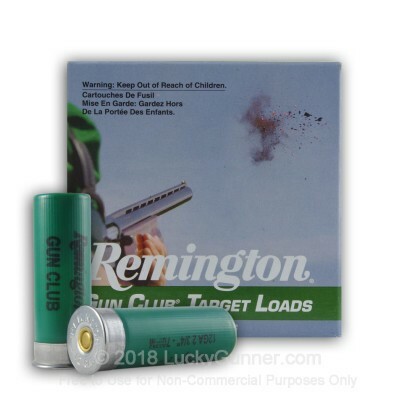 The lead shot loaded in Remington shells is made in their uniquely designed 11 story shot tower located in Lanoke, Arkansas. Their process starts out with 90 lb lead "pigs" that are raised up an 11 story tower where they are melted down and poured through a sizing screen. The lead droplets fall like rain down an 11 story tower landing in a pool of chilled water resulting in some of the hardest shot available in the market. Next, the cooled shot is ran through several more quality control processes to ensure uniform shot size and shape. The next time you take to the range you can rest assured knowing the amount of forethought and engineering that has gone into the crafting of your shells. This ammo was shipped very fast, and is very high quality for the price, Never had a single hang up or misfeed with this ammo. 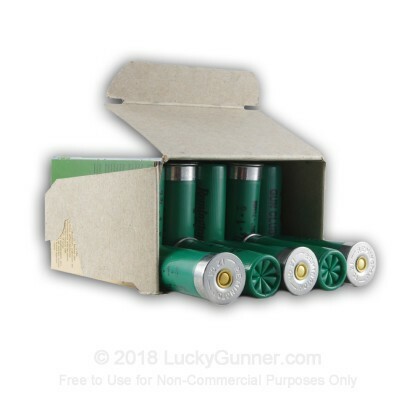 HIGHLY recommend for low price shotgun ammo. I shot an entire case of this stuff in a day at a local trap range out of a Benelli M2, and averaged a respectable 23. It hits light, and breaks clays.